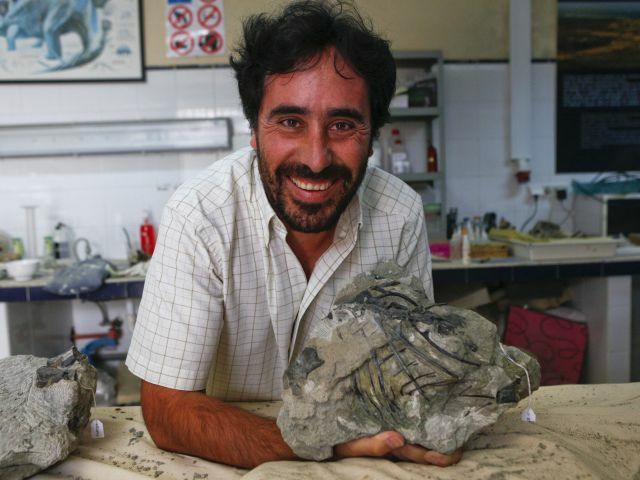 Scientists have discovered a new species of massive, toothy amphibians dating from 220 million years ago, said to be top predators and the size of cars, in a dried-up lake in the Algarve. According to the BBC, hundreds of the creatures probably died when the lake dried up, leaving a huge jumble of bones which is now being excavated near LoulÃ© in the Algarve. The so-called â€˜super salamanderâ€™ is thought to be a member of a crocodile-like species and looked like a giant salamander. The creatures were distant relatives of the salamanders of today but much bigger and very much fiercer. Although related to modern salamanders, the two-metre beast probably lived more like a crocodile, snapping up fish and fighting with rivals on the sea shore. The find has been given the nameÂ Metoposaurus algarvensisÂ after the region it was found in. Exciting times ahead (And in pre-historic times it seems) if you visit the Algarve this summer.